I’m addicted to social media, its undeniable. I wake up every morning and generally the first thing I do is check my phone. Probably within half an hour of being awake I’ve checked my Instagram, Twitter, Facebook, Emails and most recently my newly set up Linked In page. Not only will I check it, but most of the time I’ll post something on at least one of these platforms. Throughout the day I will constantly find myself checking my phone, reacting to notifications, uploading tweets and Instagram pictures, answering my emails, you name it. When it comes to the evening, I’ll mindlessly scroll in-between all the social platforms I’m part of and I’ll seem to get withdrawal systems when I haven’t checked it for a while. Is it FOMO (fear of missing out), habit, or a more serious addiction that’s drilled into me? In all honesty, I think social media is pretty scary. It has the ability to affect millions of us in both extremely positive/negative ways. But what I think I find most worrying, is how I struggle to switch off from it. Not only am I obsessed with checking my social platforms and uploading content, but I also struggle to switch off from creating content. For instance, I struggle to go out for fancy cocktails and not upload an Instagram story of how amazing it is; I struggle with wearing a nice outfit and doing my hair and make up nicely, to then NOT take a picture of it (it’s a rare occasion); and I struggle to go on holiday and not take 101 photos of how pretty that beach or building is. You get the gist…and it can be utterly draining. I seem obsessed with making sure I capture that moment and making the most of everything, but by doing this I sometimes feel like I’m doing just the opposite. I want to be able to switch off more and just enjoy something for what it is, rather than feeling the constant need to capture and post the experience. So for me its about getting the balance right. 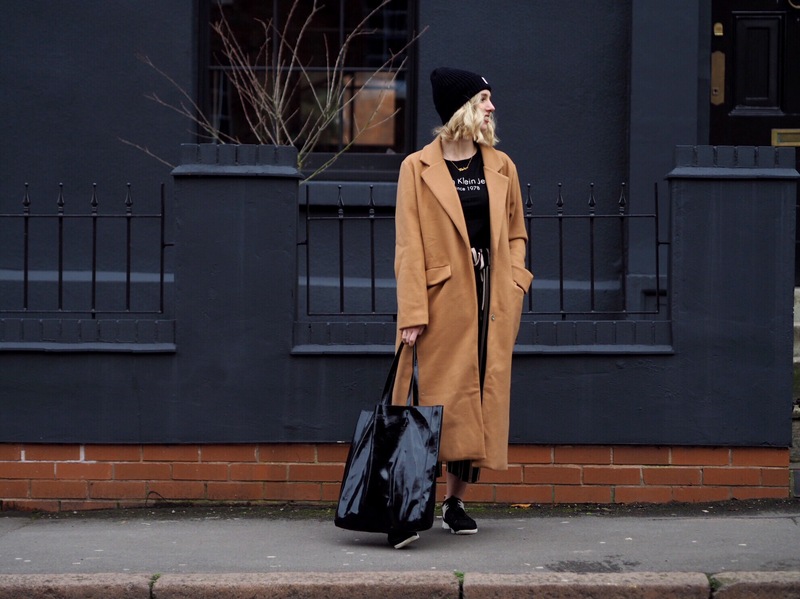 I’m not going to lie and go on about how I’m going to have a social media detox and go completely radio silent, it’s an integral part of my university dissertation and the promotion of this blog at the moment, so I don’t feel like it’s the right time to have an all out detox. But, I want to get the balance right. I want to be able to still capture these moments, in order to create engaging content, but whilst ensuring I give myself the opportunity to actually enjoy and take it all in. I essentially want to switch off more, whilst also remaining partly switched on. The idea for this post came about because I’m going to New York soon on a university trip. I’ve never been to America and I am SO excited. One of the first things that came into my head was ‘oh my imagine the photography opportunities’. I was planning all of the places in my head that I could do some outfit shoots (we have quite a bit of spare time built in as part of the trip) and I was even starting to think outfits. It’s safe to say I was getting a bit ahead of myself. But I’ve since decided this isn’t how I want to spend my trip and I certainly don’t want to force one of my friends into being my blog photographer for the 5 days, as frankly I don’t think they’d be too happy about it. I want to enjoy my time there and I want to take it all in. It’s a once in a lifetime trip, as I wouldn’t of been able to afford to go if it wasn’t for the university bursaries available, so I want to make the most of it. So I’ve made a vow to myself that whilst I’m there I’m going to switch off a bit more. Having said this, I’m still going to be consistent with my content uploads on Instagram and twitter, as well as sticking to my blog schedule, but I specifically don’t want to get too caught up in taking too many photos when I’m there. I mean, I still want to get a pic at the top of the Empire State building and on the MET steps (Hellooo gossip girl) but I’m not going to be so obsessive about them. When I’m shooting at home I try to get that ‘perfect’ shot, which could mean taking up to 100 images, which I suppose is okay because I have the time to do that. But, when I’m in New York I’m going to operate with the mentality of a quick on the go snap, no standing in Time Square for half an hour trying to get the perfect picture! If the picture’s not perfect, I won’t care, because it’s more about capturing a snap shot of a moment in time. I won’t look back and think, oh I wish I’d stood a bit differently in that picture but I would look back and regret not making the most of the opportunity as I was too focussed on the content opportunities. Ultimately, there are better things to be doing with my time whilst I’m there. If any of you reading this are also fellow social media addicts, who have any tips for switching off/whilst also being switched on please let me know! I’ve came up with my top three below but would love to hear more. It’s all about getting the balance right and I can’t wait to go on holiday with this new mind set to see if I enjoy it more. I’m excited to see how this works and if it all goes well, I might start to apply this method to other events and activities in my life! Also, I wanted to share with you all this outfit look that I’m loving right now and think would be perfect for my trip to New York. The online retailer LOTD were nice enough to send me out this beautiful boyfriend coat and striped trousers, which I absolutely love! 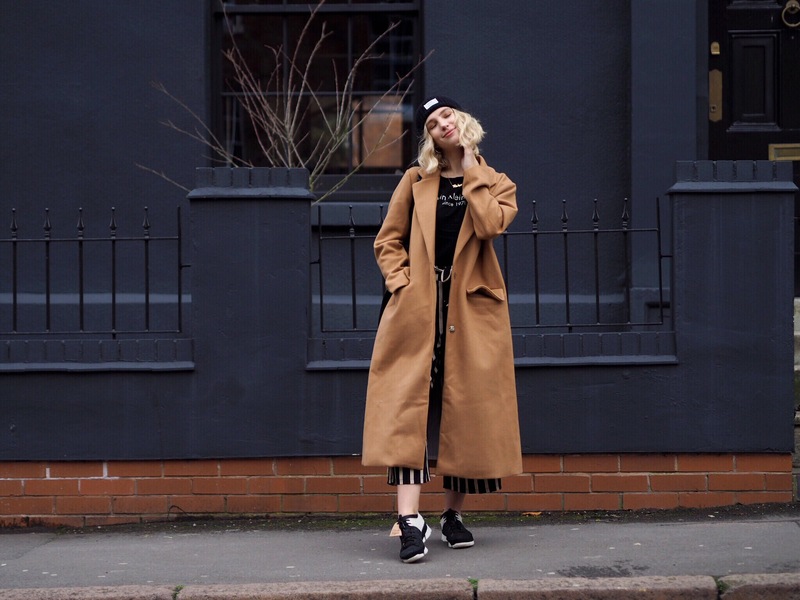 If you’ve previously read my posts ‘Return of the Puffer Jacket’ and ‘The Fur vs Faux Fur debate’ then you’ll know that this is a brand I’ve raved about before. 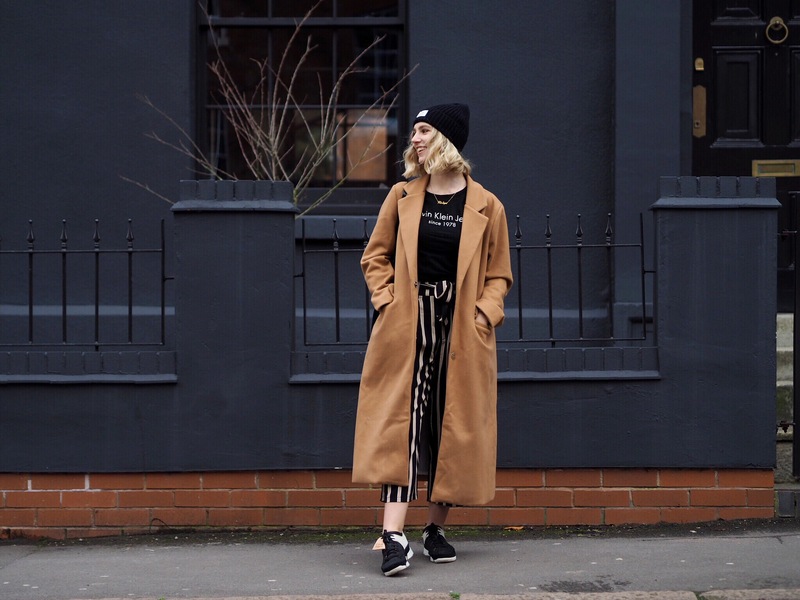 Their clothes are right on trend and at a really affordable price point for those on a tight budget or looking to save some money! 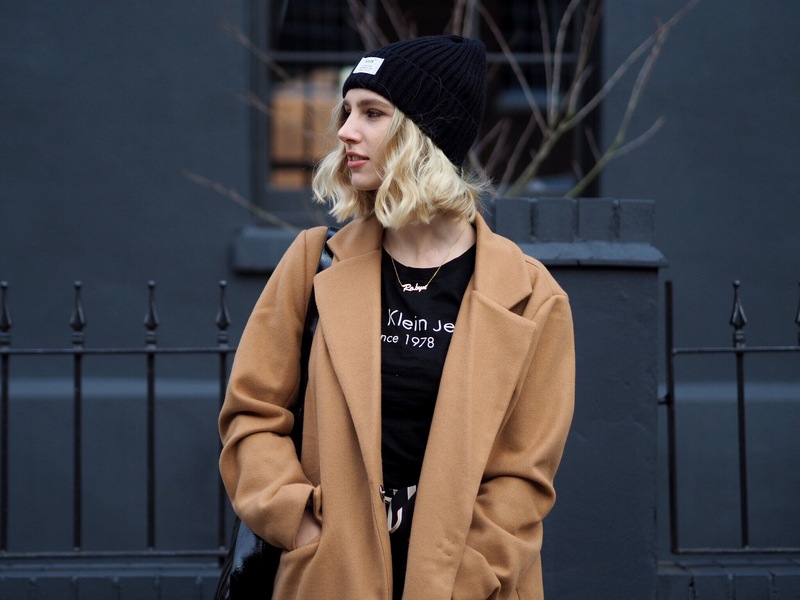 I’ve paired these LOTD items with trainers, a beanie, a black patent tote bag and my new favourite Calvin Klein T-shirt, to keep it pretty casual for those days shopping, going to coffee shops and exploring the city. I’ve linked all the items in this post so you can easily shop them! And that’s it! I hope you enjoyed this post and some of you may have been able to relate to it. I’d love to get your feedback so drop a comment below and let me know what you thought! *Disclaimer- I was kindly gifted with the items in this post marked with a (*), from LOTD.com and Julia Jewellery, however all opinions are 100% my own and I was not paid to write this post. "DO YOU CARE WHERE YOUR CLOTHES COME FROM?" I need to go on a massive social media detox, I spend way too much time scrolling through instagram and checking non-existing notifications and it just sends my brain into overdrive. Love this post! I’ve been on average 3h a day on IG which I think it’s pretty good. 30min Peep in the morning. 30min in the afternon and at night Upload, engage and leave. The struggle whilst travelling is real. You could get a photographer and take a day just to create content with many different outfits/locations. That’s how I plan to organize my future trips. That way you can enjoy the rest of the days stress free coz beautiful photos are already taken!